Signal just finished a great ride for Al Nelson. 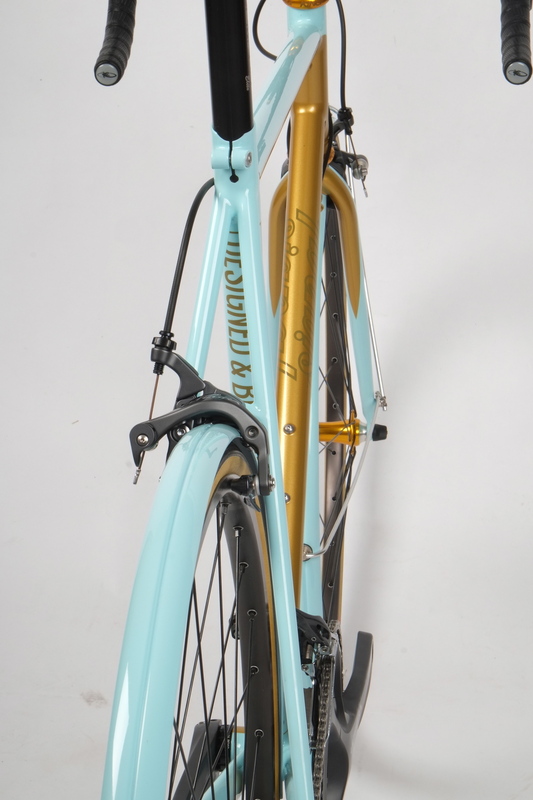 Al contacted us wanting a classic, club racer style steel bike with clean lines and a mix of modern, quality components. We obliged with this fillet brazed frame and unicrown fork using a blend of Columbus Life and Dedacciai tubing. The usual Signal treatment of full Ultegra, Chris King bearings, and Thomson parts run the bike and the Challenge Strada 25's keep the ride soft and supple.